Silvia domestica Wilson, 1808; suppressed in favor of Troglodytes aedon, Vieillot, 1809. 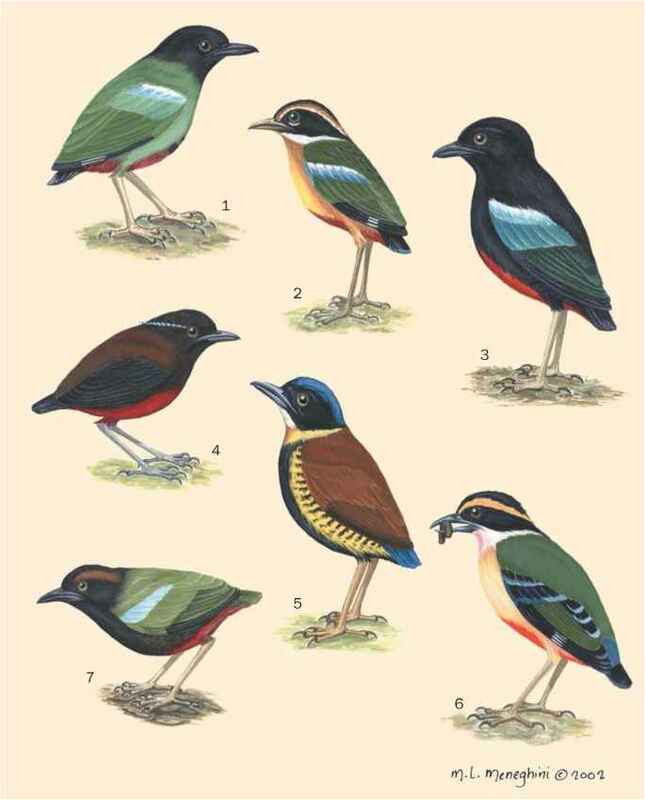 Three subspecies recognized (Clements). French: Troglodyte familier; German: Hauszaunkonig; Spanish: Saltapared Cucarachero. 4.6-5 in (11.5-12.5 cm). Weight 0.28-0.40 oz (8-11 g). A rather plain gray-brown wren without prominent markings. Crown and nape are medium-brown; back and rump are reddish brown; wings and tail have narrow dark barrings. Face is gray-brown with ill-defined pale supercilium; throat and chest are buffy-white; belly and flanks are buffy-red. Eyes are brown; bill is dusky-brown above and pale horn-gray below; legs are dark brown. Sexes are similar. Juvenile has dusky mottles on breast. Breeds across North America from New Brunswick south to California, west to central Alberta and southern British Columbia and south to California. 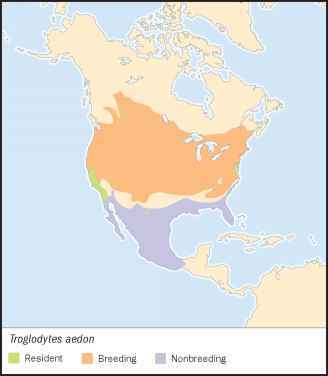 Winters almost entirely south of breeding range, from South Carolina westwards to southern Arizona, south through Mexico to Oaxaca. Partially open country with brushy areas, abandoned farmland, forest edges, and well-vegetated suburban areas; in western North America in open deciduous and coniferous forest. Very territorial in breeding season. Not particularly secretive, especially when singing. Frequently destroys the eggs of cavity-nesting birds, such as the prothonotary warbler and Bewick's wren. Song is a long series of rapid notes, not particularly tuneful, mostly on one pitch then descending at end. Both sexes sing. Most often forages low in tangled vegetation. Food is mainly invertebrate, including spiders, caterpillars, bugs, etc. Also eats a small amount of vegetable matter. Is a cavity nester, using old woodpecker holes, tree cavities, disused hornets' nests, old nests of northern oriole or cliff swallow, but increasingly using nest boxes and other artificial sites. Nest has a coarse twig base with a cup lined with hair, wool, and feathers. Eggs number four to eight, rarely three to 10. They are whitish with small spots of reddish brown. Incubation is by the female alone for 12-14 days; young are fed by both sexes for 16-18 days. Single-brooded in Canada, double-brooded or rarely triple-brooded in southern parts of the range. Generally monogamous, but polygyny does occur regularly. Not threatened; populations augmented by provision of nest boxes and abandonment of marginal farmland.